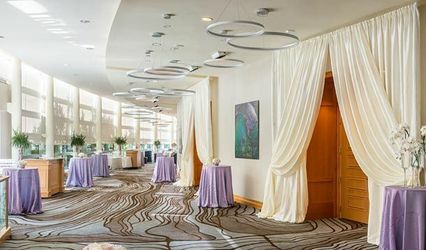 The Rotary Summit Center, located three blocks from The Fairmont San Jose, features a 6800-square-foot ballroom with more than 3000 square feet of adjoining foyer space. Two open-air balconies and floor-to-ceiling windows provide spectacular views of Silicon Valley. 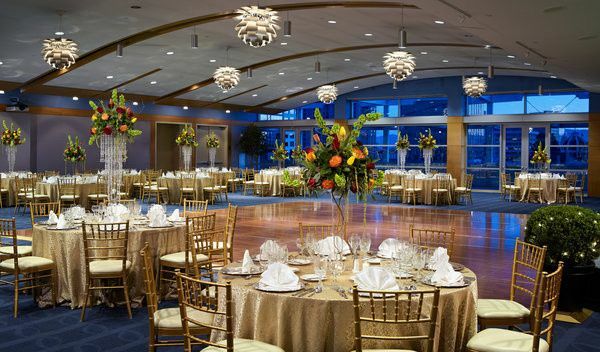 Modern and sophisticated in design, the Summit Center rests atop a seven-story building with approximately 700 parking spaces, making it a very convenient event space for your guests. 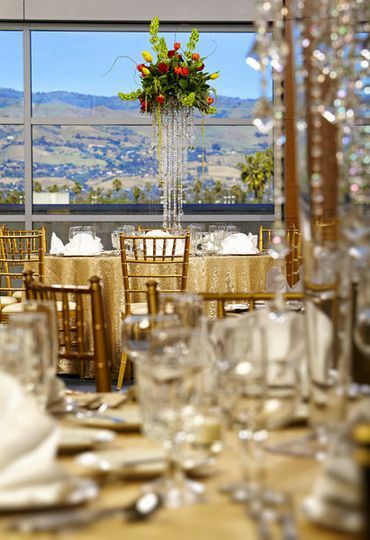 For more information about hosting your San Jose wedding at the Rotary Summit Center, please contact our Catering Department at 408-998-1900 ext. 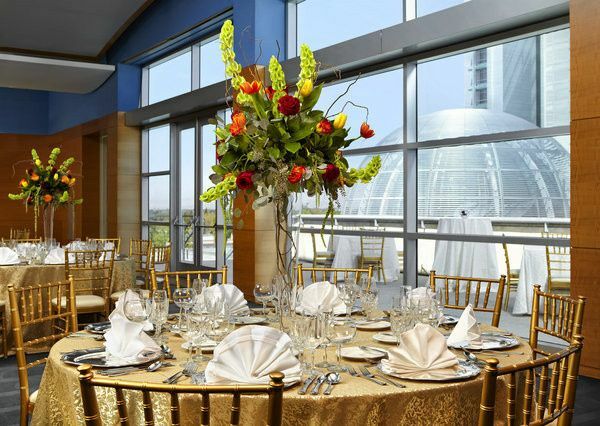 3520, or email saj.catering@fairmont.com. 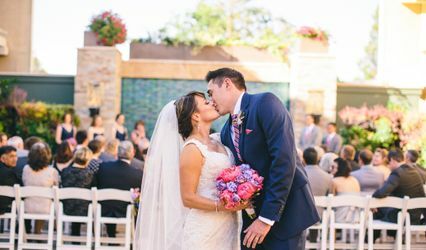 My son and daughter-in-law wanted a unique modern venue for their wedding reception and the Rotary Summit Center was the perfect place. 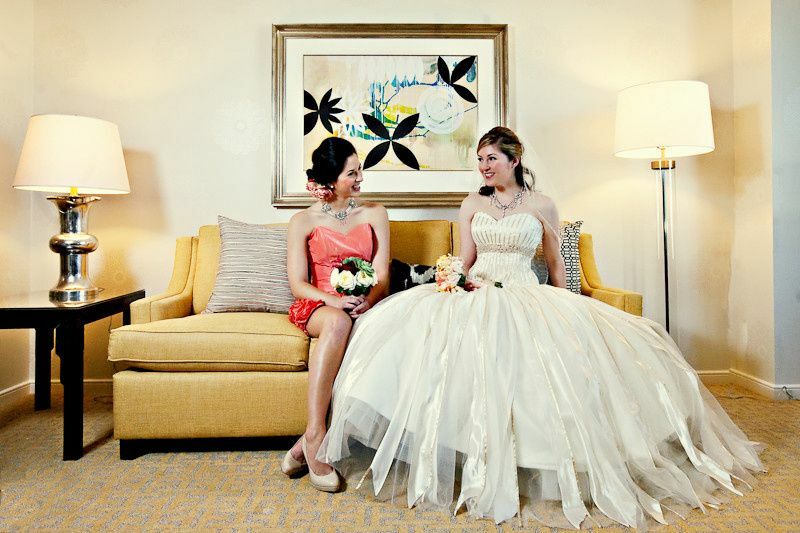 They had their wedding next door at the City Hall Rotunda so the guests never had to move their cars. 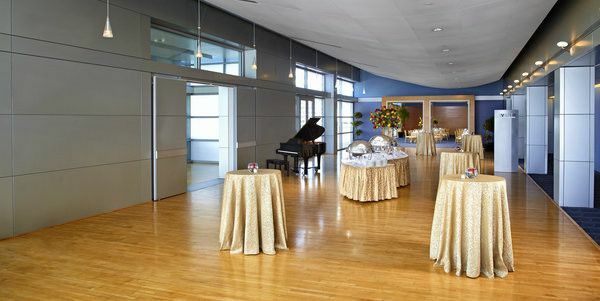 The lobby and balcony over looking downtown San Jose were spacious and inviting pre-reception areas. Inside the dramatic dining room the 30x30 dance floor was surrounded by seating for 200 and there was still room for sweetheart table, cake, DJ and photo booth. When the curtains were raised just before sunset, the crowd let out an audible "ooo" when they saw the city skyline and lit up City Hall. We wanted a special bar menu that included micro brews, a pinot wine and no hard alcohol. 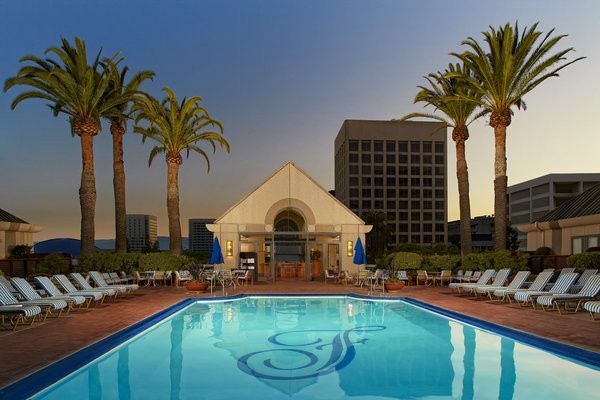 the Fairmont said - "No problem". 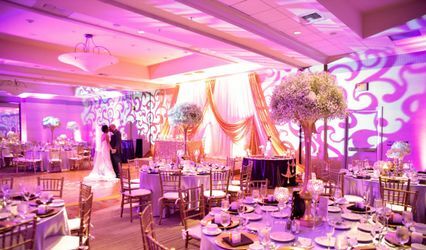 In addition to incredible catering service, the Fairmont also provided very competitive rates for a large block of rooms for our many out of town guests. The hotel is only about 4 blocks from the wedding venue so many folks walked. 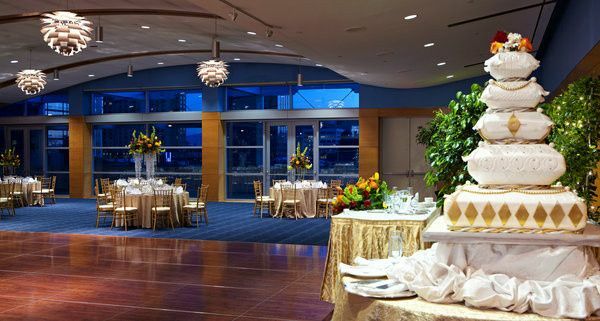 This venue and caterer could not have been better.